Unfortunately, the cost was overwhelming and our fundraising attempts failed, so I had to cross ScholarCon off my to-do list. It was disappointing, but my thought was that “there’s always next year.” Surprisingly, that opportunity resurfaced sooner than I expected! 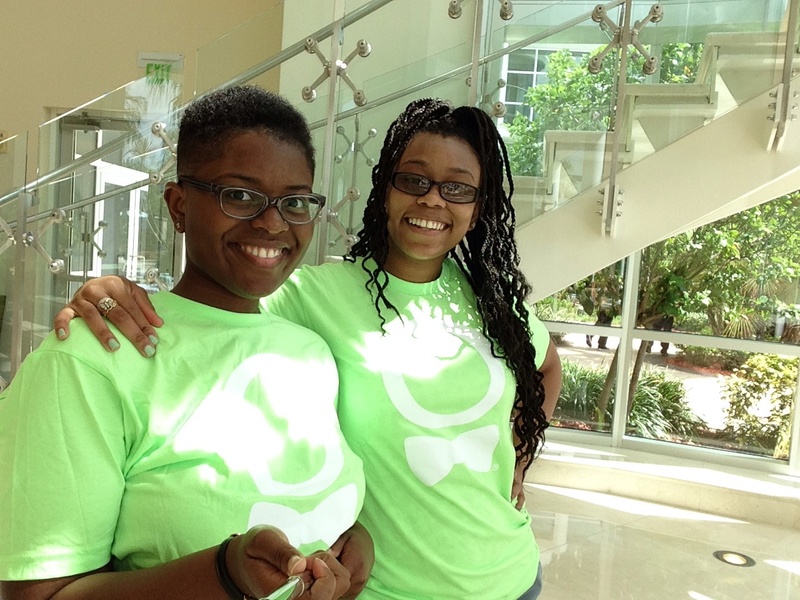 I received an email from Robin Redmond, executive director of the George M. Pullman Educational Foundation, stating that they were able to fund a trip for two Pullman Scholars to attend ScholarCon. I was flabbergasted and I just knew it was meant for me to go—I mean, what are the odds that this could be happening to me twice? I replied immediately and just prayed that I would be chosen. I did not learn that I had been chosen until the Pullman Foundation’s annual symposium and I was just overcome by gratefulness. 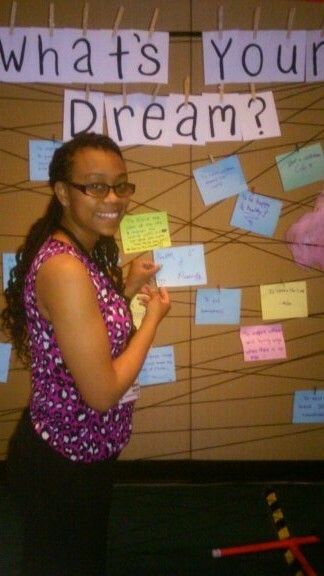 I felt honored that the Pullman Foundation was granting me the privilege of representing them at ScholarCon. This was going to be a completely new experience for me because I have never attended a convention or student summit of any sort. My expectations were that we all would complete team building exercises, learn about enhancing our leadership opportunities and have a few networking events. The educational aspect of this event was very important to me, but I was mainly excited about meeting people from all around the world and learning about their cultures and experiences. 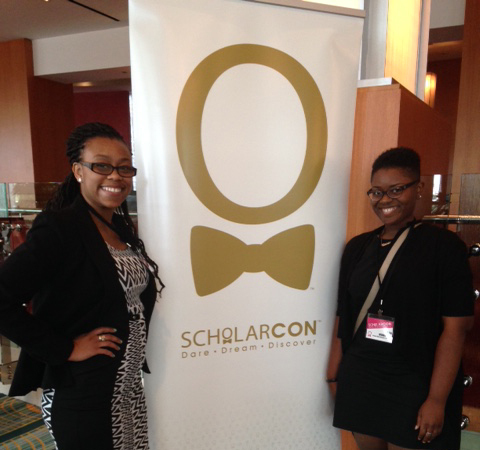 Now, I can honestly say that ScholarCon surpassed my expectations. Not only were we able to connect with students from all over the world and network with professionals, we were given time to reflect on our personal journeys and motivation to keep forging ahead. There were numerous Spark Sessions (workshops), business exhibitors, fun engaging activities each day and even a closing party. The informational workshops on team building and careers were most impactful for me because I have recently gained new leadership positions at my university and I will be graduating soon. I have been in some student organizations and had the feeling that something was missing, but I never could figure it out. Christiana Brimmage explained exactly what that missing component was in her Secrets to Teams presentation: community. Having a sense of community within an organization allows their members to have the realization that they are not alone, which can be done by having fun outside of the official business activities and expressing gratitude. I plan to bring this information to my organizations and hopefully build cohesively dedicated groups. I have already begun utilizing the information I learned during the Career Boot-Camp session by shortening my resume to one page. 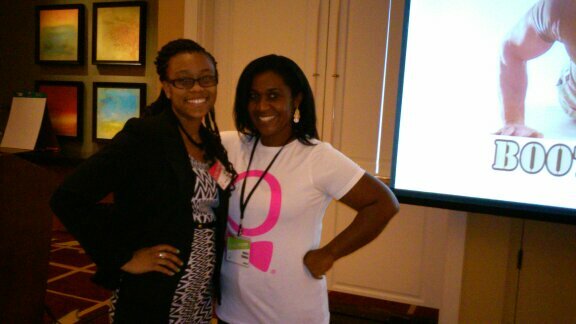 Nicole Thomas hosted the Career Boot-Camp and she taught us about the mindset of a recruiter. One of the most striking things that she said was to “ask them what they are looking for directly” and they will be impressed. I never thought about doing something like that, but my university does host several career fairs throughout the year so I will be trying out this new tactic. Mrs. Thomas’ session had some of the most useful content for me, but I also enjoyed the motivational speakers. Nicole Thomas, President/CEO of RAVE (A Radical Approach to Vital Education) Seminars (left), after the two-hour Career Boot-Camp. The Facing Adversity workshop hosted by motivational speaker Gerald Jones was truly inspirational. He shared his hardship of disliking his skin color and learning to love himself. Mr. Jones told us that we must always affirm ourselves and face adversity head on. He explained that we all must deal with our personal hardships in order to advance in the world and avoidance is not an option. Hearing this encouraged me to reflect on my life journey and contemplate how to personally improve myself. One major way of doing that is to develop a success mantra, as explained by Casey Cornelius (motivational speaker from College for Life). A success mantra is a phrase, word or acronym that we can all personalize for ourselves and use in stressful or trying situation. The success mantra I have lived by since I was in high school is that “it does not matter where you go in life, it matters what you do when you get there.” Reminding myself of this encourages me to be my best no matter where life takes me or what challenges arise along the way. As Gerald Jones said, “all successful people are jugglers.” We have several tasks, challenges and responsibilities but we continue forging ahead.